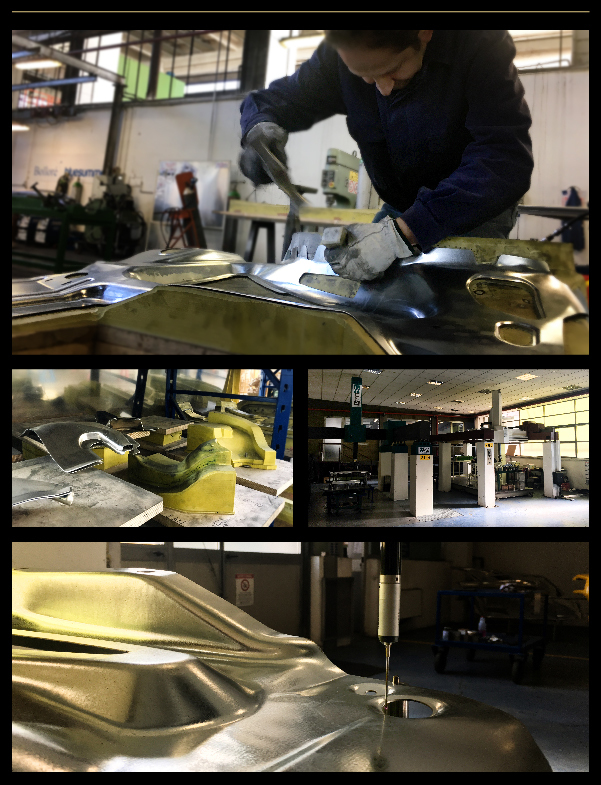 The Golden Car production cycle begins with the engineering design, developed in codesign according to the specific requirements of the customer, and continues in the workshop where some of the most world-class master Italians “battilastra” give life to the aluminum prototype. 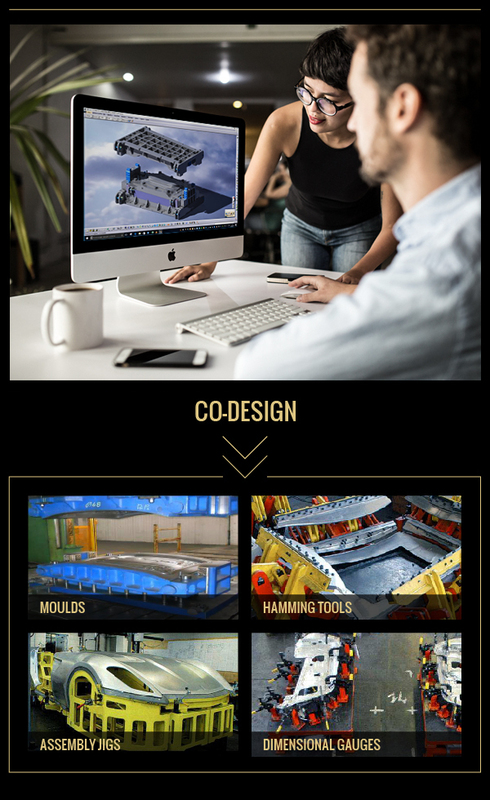 These experiences combined with advanced technologies, CNC 5-axis milling machines, large hydraulic presses, 3D laser cutting machines and robots for assembly. 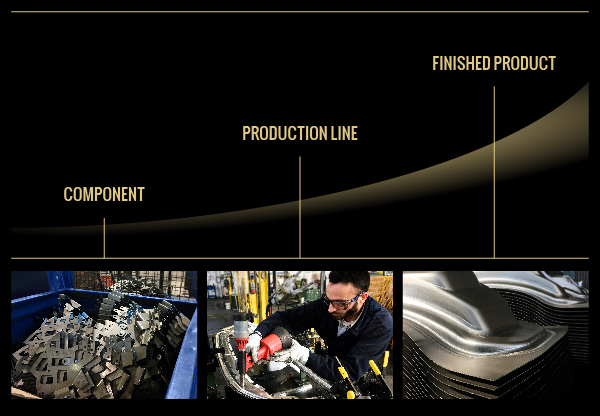 From idea to product, from design to prototype, from soft-tools to series production. 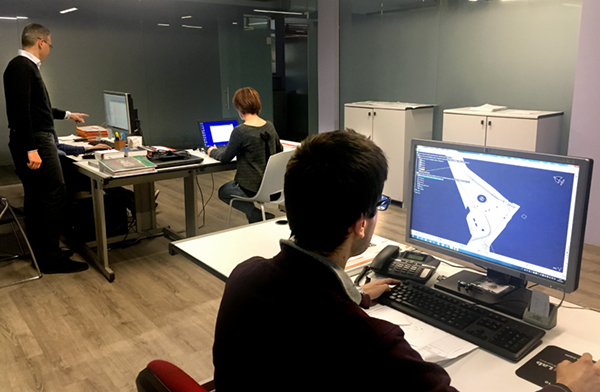 The Engineering Department works to provide technical feasibility studies for industrialization, evaluation of cycles for the production and design of its equipment. To support this activity, it also provides assistance in the design of cycles and equipment for prototype design. Thanks to advanced molding software and design systems, it's today one of the strengths of the company and always offers innovative solutions. 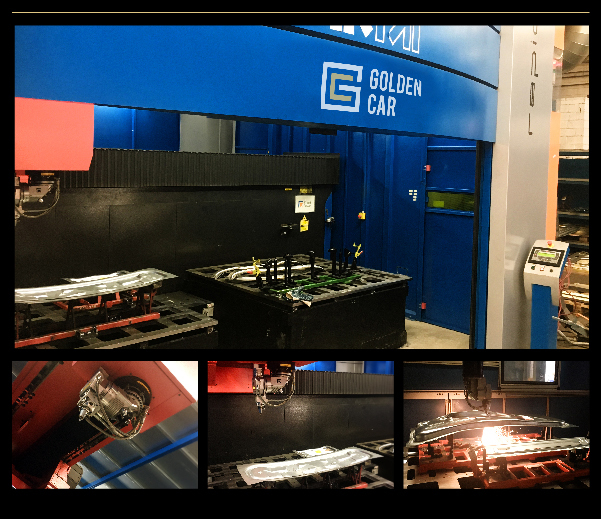 Golden Car offers itself as one contact for all needs, from small to large production. 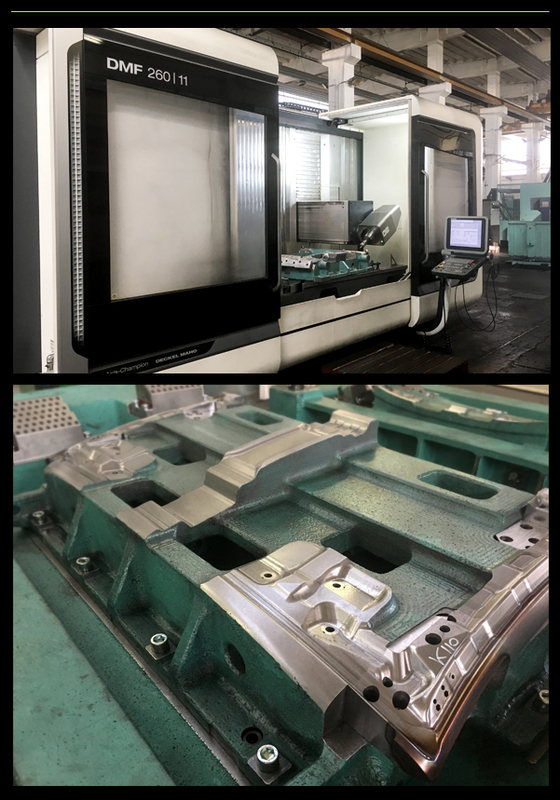 We make internally our molds and equipment with 5-axis CNC machines. Starting from deep drawned parts or sheet metal, we get finished products thanks to 2D / 3D laser cutting with 5-axis machines that can cut aluminum and steel with thicknesses up to 6 mm. 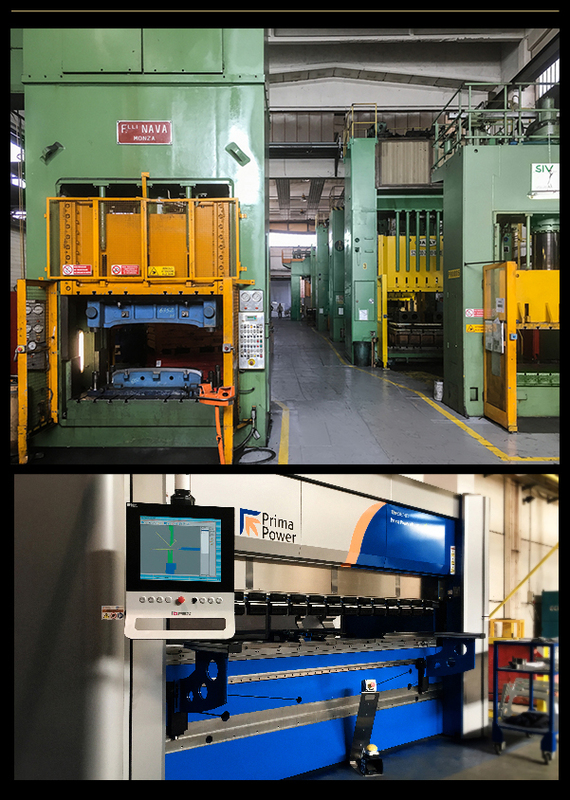 The manufacturing begins with the entry of the raw sheet, in aluminium or steel, and continues in our stamping department to be moulded using presses that develop pressures from 50 up to 1.000 tons, using molds of dimensions up to 4.000 x 2.200 mm. Our assembly department with skilled and certified staff which we produce from welded sub-assemblies to finished and tested parts. An integral part of the department is the manual rework process, the result of decades of Automotive experience. We offer paint services through qualified external suppliers and ISO certifications. We offer surface treatment services (cataphoresis, zinc plating, etc ...) through qualified external suppliers and ISO certifications. Quality Control is present at all levels, from design to material purchase, and extends to all production phases up to final testing. 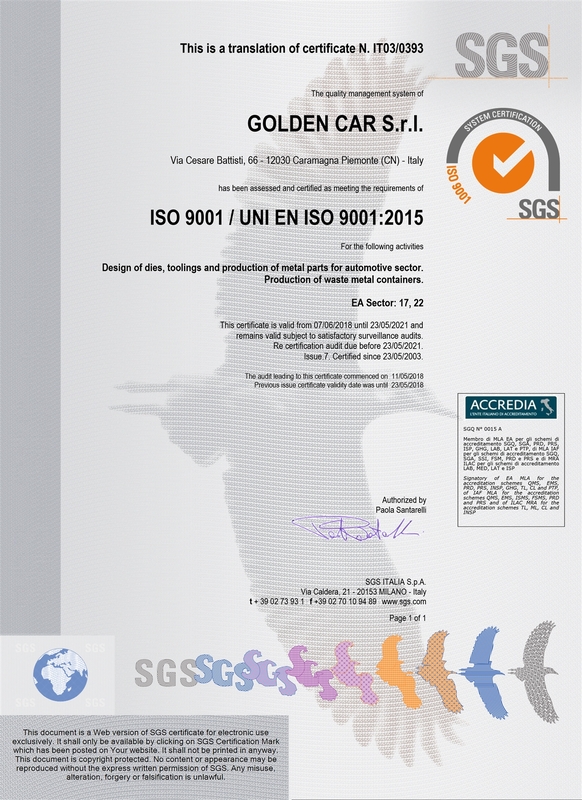 The Golden Car company is certified by ISO 9001:2015 (short-term IATF 16949) and is guaranteed by the effective and efficient logistics and after-sales service.